We can install a fully reconditioned straight stairlift from only £990. We fully recondition our stair lifts to the highest standard. The stair lift will be fully cleaned and all serviceable parts replaced. Contact us for a free no obligation site survey and find out when we could install your stair lift. Our surveys are all carried out by fully trained and qualified stairlift engineers. We do not pressure sell as we do not employ salesmen, simply engineers – meaning you’ll get the best professional advice for your stairlift. Your reconditioned stairlift will be like new and hold our 12 month warranty. Prestige Stairlifts reconditioned straight stairlifts are unbeatable value and we won’t be beaten on price for any like-for-like quotation. Before a reconditioned stairlift is sold our team of fully qualified engineers will fully test and service the chair so it meets all safety checks and operates like new. 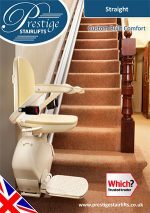 When the stair lift is fitted you will receive a stairlift that is mechanically as good as new with a 12 month warranty. We hold a large stock of reconditioned stairlifts in our South East warehouse which allows us to normally fit them within 24 hours notice. Stairlift installation should take no longer than half a day. The stairlift is mounted to the stairs and there is no alterations or damage to your property. In the unlikely event that we need to move a radiator or similar obstruction we employ the relevant trades needed so you won’t have to worry about anything. At Prestige Stairlifts we guarantee to buy back the stairlifts we install. Please visit our Stairlift Removal page to find out which stairlifts we remove free of charge. Prestige Stairlifts is a Sussex based company and cover the whole of the South East of England including Kent, Sussex, Surrey and London. 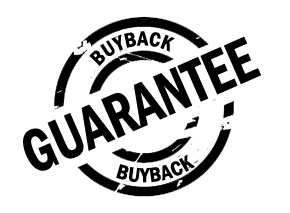 We are Trading Standards Approved and hold Accreditation with the British Healthcare Trades Association BHTA, Checkatrade and Which? Trusted Trader.